Australian Humanists of 2011 & 2010 - Humanist Society of Victoria inc. The Council of Australian Humanist Societies is pleased to announce that Dr Leslie Cannold, writer, commentator, ethicist and researcher, is the 2011 Australian Humanist of the Year (AHOY). This award has been bestowed on Leslie in recognition of her valuable contribution to public debates on a wide range of ethical issues, particularly to do with women and family life. She is an outstanding secular voice in Australian public life. Her public contributions, whether in daily newspapers or on radio and TV, are always considered and well informed. The award of Australian Humanist of the Year has been made annually since 1983, when its first recipient was the late Lionel Murphy. In the intervening years the AHOY award has gone to such well known Australians as Fred Hollows, Tim Flannery, Phillip Adams, Eva Cox, Donald Horne, Henry Reynolds, Inga Clendinnen, Peter Cundall and Peter Singer. In selecting Leslie Cannold for this year’s award, Humanists are expressing their admiration for Leslie’s forthright views on such controversial issues as advocacy of abortion rights for women, family planning and access to assisted reproductive technologies. As a public intellectual, Leslie makes many appearances on radio, TV and public forums, along with writing numerous columns for daily papers across Australia. In 2005 her book What, No Baby was listed among the Australian Financial Review’s top 101 books and she was selected as one of Australia’s top 20 intellectuals. Other books include The Abortion Myth and a soon to be released novel, The Book of Rachael. She is also one of the contributors to the well reviewed 2010 publication, The Australian Book of Atheism. Leslie’s wide experience as a bioethicist is demonstrated by her being a member of the ethics panels of the Infertility Treatment Authority, the Victorian Physiotherapy Board and the Human Research and Ethics Committee of the Victorian Department of Human Services. Leslie is an adjunct Fellow at the School of Philosophy, Anthropology, & Social Inquiry at the University of Melbourne and senior lecturer at the Monash Institute of Health Services Research. 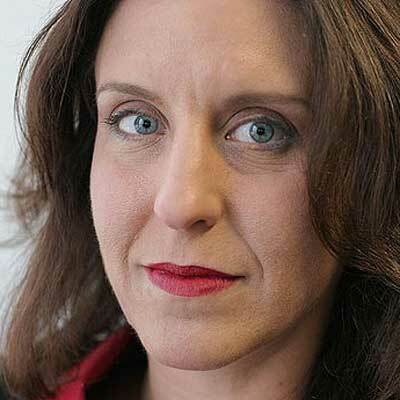 She is President of Reproductive Choice Australia, a national coalition of pro-choice organisations that played a key role in removing the ban on the abortion drug RU486 in 2006, and of Pro Choice Victoria, which was instrumental in the decriminalisation of abortion in Victoria in 2008. She is also a Dying with Dignity ambassador for law reform. Humanists are pleased to honour the valuable humanistic work of this outstanding Australian. Leslie will be presented with her AHOY award at a dinner on Saturday 30 April, at The Tudor, Whitehorse Road, Box Hill. This dinner is part of the annual national Humanist Convention, Friday 29 April – Sunday 1 May. 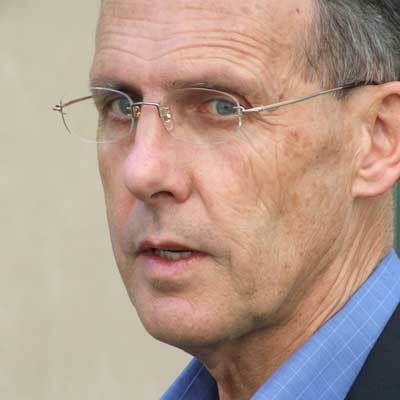 Senator Bob Brown is Leader of the Greens and well known grass-roots campaigner for the environment and human rights. As a publicly avowed atheist he has been outspoken over many decades on numerous matters of concern to Humanists. Born in Oberon NSW in 1944, he was educated at government schools and Sydney University where he studied medicine. He worked as a G. P., 1968–1980. In 1972 he moved to Tasmania where he became involved in the environmental movement, particularly in the campaign to save Lake Pedder. As Director of Tasmanian Wilderness Society he led the campaign to save the Franklin River Valley from being drowned under the proposed State-backed hydro-electricity scheme. This lead to his arrest in 1983 and 19 days in prison; in 1986 he was shot at by angry loggers. Again in 1995 he was jailed twice for participating in peaceful environmental protest to protect the Tarkine wilderness from logging. In 2009 he faced financial loss due to a legal battle with Forestry Tasmania. Representing the Greens Bob served in Tasmania’s lower House for ten years, 1983 – 1993. During that time he introduced private member’s bills for freedom of information, dying with dignity, lower parlia-mentary salaries, gay law reform, the banning of battery-hen farming, a nuclear free Tasmania and in 1987 an unsuccessful bill for gun control. An agree-ment to support the Labor minority government achieved significant gains for Tasmania and particularly the environment but broke down over forestry issues. He was strongly involved in the foundation of Australian Greens nationally. In 1996 Bob was elected as a Senator for Tasmania and became Leader of the Greens in the Senate. In his impressive first speech to the House his mention of the danger of climate change and rising sea levels was greeted with laughter. He introduced private member’s bills on such concerns as forest protection, blocking radioactive waste dumping in Australia, banning mandatory sentencing for indigenous Australian children, and reducing carbon emissions. He opposed the sale of the Snowy Hydroelectric Authority. He was an outspoken critic of the Howard government’s policies on asylum seekers and the Tampa incident, the 2003 invasion of Iraq, the detention in Guantánamo Bay of David Hicks and Mamdouh Habib. He was suspended from Parliament for his protests while President Bush addressed Parliament (2003). He campaigned for gay marriage in 2004 opposing Howard’s amended Act. He brought the problem of petrol sniffing in central Australia to the attention of Senators and has presented a petition against prayers in Parliament to the Senate. On foreign affairs, he has expressed strong support for rights of oppressed people in East Timor, West Papua, Tibet and Burma. In 2007 he introduced a private member’s bill to overturn the Euthanasia Laws Act 1996 and restore the Northern Territory legislation to allow terminally ill people to choose voluntary euthanasia under rigorous conditions. He also supported attempts by the ACT to legislate similarly. This bill is still before Parliament. Bob has published a number of books, including Wild Rivers (1983), Lake Pedder (1986), Tarkine Trails (1994), The Greens (1996, with Peter Singer), Memo For A Saner World (2004) and Tasmania’s Recherche Bay (2005). He founded the Australian Bush Heritage Fund, a co-operative to buy land for conservation, and remains its Patron. He is also involved with the Australian Conservation Foundation and the Wilderness Society. Bob’s high profile and active involvement with environ-mental causes has led to him being honoured in 1987 by the UN Environment Programme Global 500. In 1990 he received the Goldman Environment Prize (US), and in 2006 he was chosen as a Rainforest Action Network Environ-mental Hero. Australian Humanists are pleased to award the 2010 AHOY to Senator Bob Brown for his dedicated courageous and often lonely campaign to save our planet, particularly by taking on the powerful vested interests of mining and wood-chip industries. Furthermore, Humanists especially applaud his campaign to legalize voluntary euthanasia, and his tireless striving on matters of human rights and social justice issues both nationally and internationally.